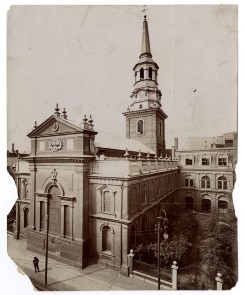 Undated historic photograph of Christ Church on 2nd Street above Market. There is a burial ground directly outside of the Church. The land at Arch and 5th Street that would become the new burial ground was purchased in 1719.